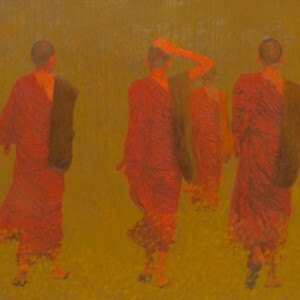 This is a fine example of contemporary Asian art. 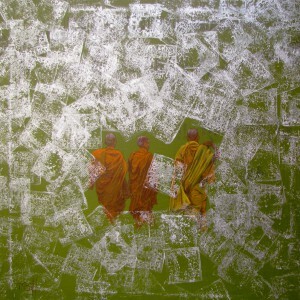 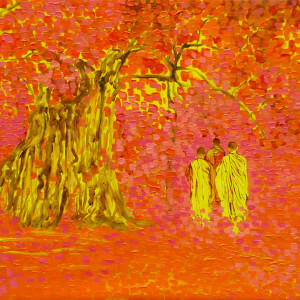 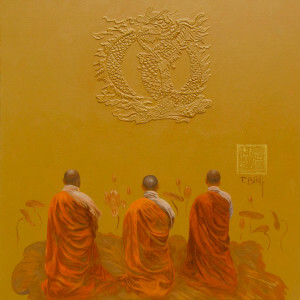 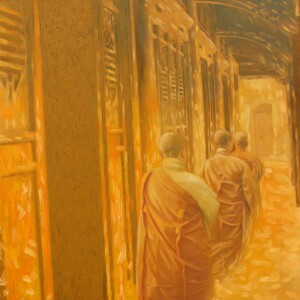 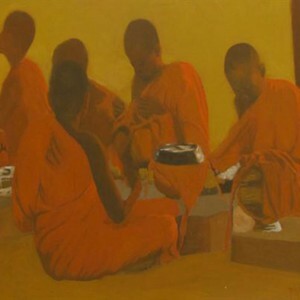 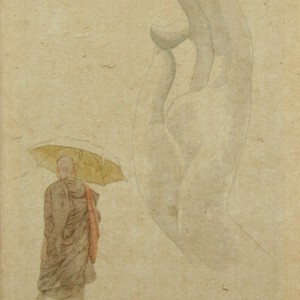 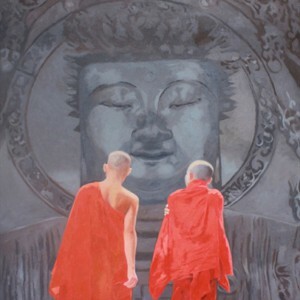 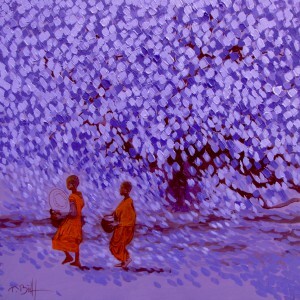 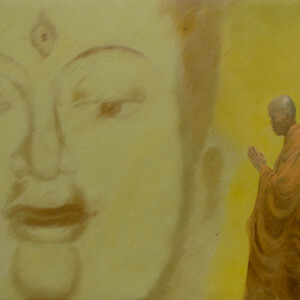 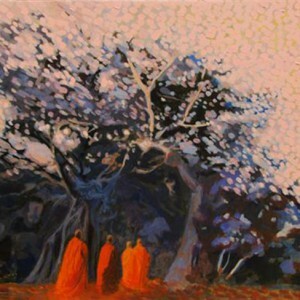 Highly stylized and evocative, this is an excellent composition from the series by Vu Thai Binh inspired by Buddhism. 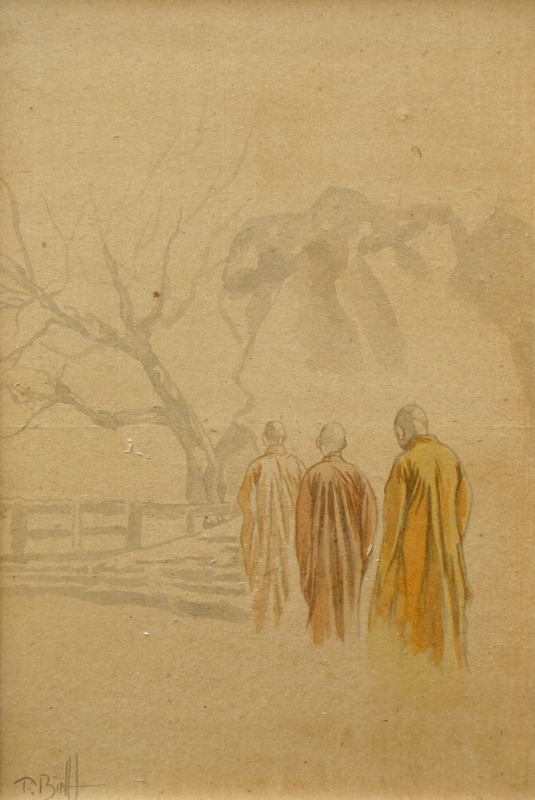 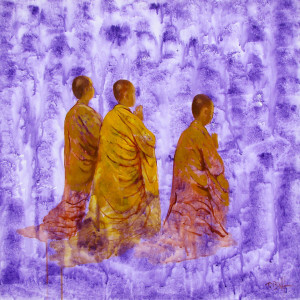 The composition has three monks resolutely on their pilgrimage to places related to Lord Buddha’s life. 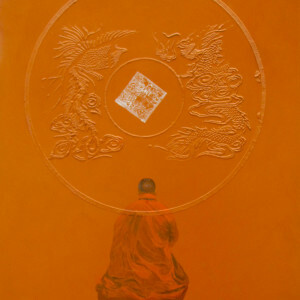 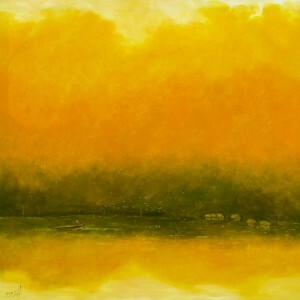 The palette befittingly has shades of yellow, ochre and orange symbolizing renunciation from worldly life.